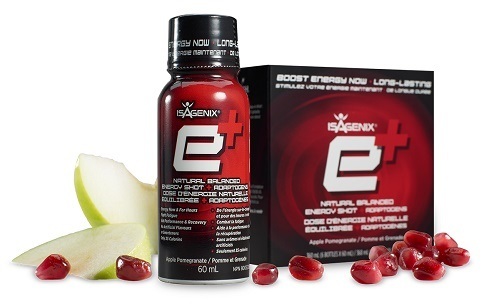 Isagenix e+ Energy Shots - Buy in Canada & Save! Craving a mid afternoon energy boost? Want extra fuel before a big workout at the gym? Isagenix Eshots are the answer! A flavourful energy boost with a scientifically supported blend of botanicals formulated to help you feel energized and mentally alert. Isagenix Eshots are infused with a host of healthy ingredients to fire up your athletic performance with no artificial colors, sweeteners or flavours. 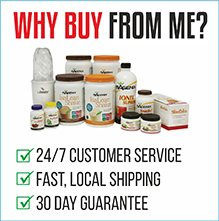 All first time orders have a 30 day product money back guarantee. View shipping rates and times. For more information, download the product information guide here. 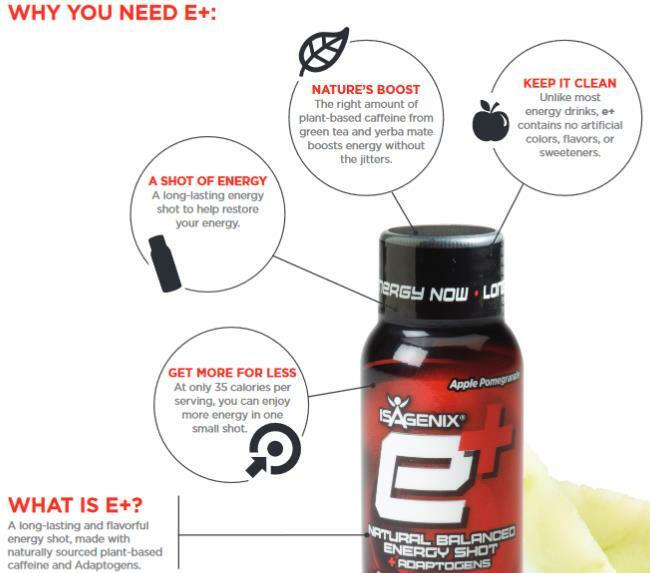 How Do I Buy Isagenix Eshots in Canada? RECOMMENDED: Sign up and Save (CA$21 for box of 6 / CA$40 for box of 12) — Sign up to the Isagenix autoship program to become eligible to have access to the cheapest wholesale prices. At the end of the checkout process you’ll be asked to set up your next month’s order. Autoship can be cancelled at any time, even after you take advantage of the cheaper prices on your first order! There are no locked in contracts of any sort. Plus, this gives you the opportunity to participate in the Isagenix business (this is 100% optional). Full Retail (CA$28 for box of 6 / CA$53.33 for box of 12) — If you prefer not to sign up and take advantage of the lower pricing, you can purchase the products at full retail price. This is not recommended as you can cancel autoship at any time. Your first order with IsaAxcess is covered by a product guarantee within 30 days. If you’re not completely satisfied with your Canadian Isagenix Eshots, send them back to Isagenix Canada for a refund! Isagenix Eshots are the ideal product to share with family and friends to get them interested in the suite of Isagenix products! Want more information? See why Isagenix is a truly global business opportunity here. I love my E shots for a pre work out boost. After a long day at work sometimes its hard to find energy for the gym, but e shots give me the boost i need with no caffeine.